Disclosure: Post contains affiliate links. All opinions are mine. Kids have gone back to school! Which means, you made it mama! You figured out a way to keep them fed during the summer – a hard task for me sometimes. Now you just have to get a good rhythm of feeding them during the school year. (Your work is almost never done!) 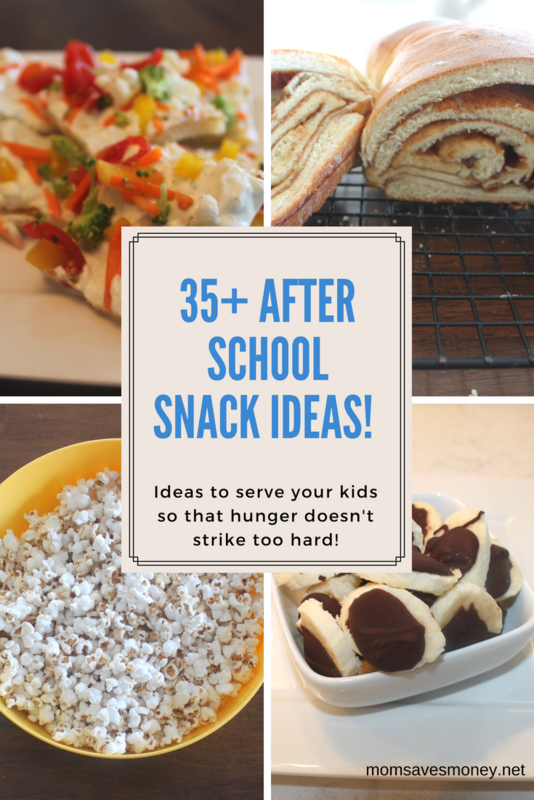 It also means that after school snacks might also be something you want to figure out. 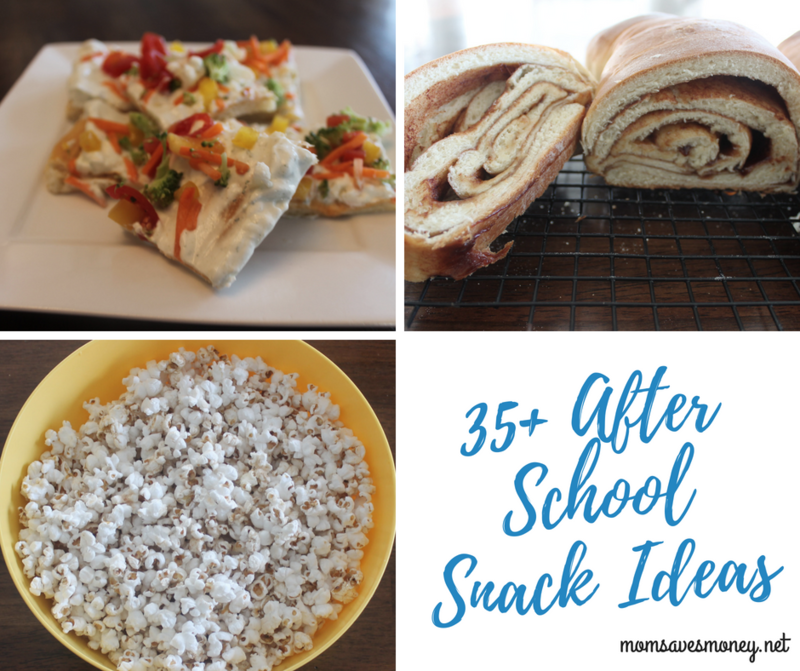 So, to help take the panic out of After School Snacks, here are some things that might work for you. 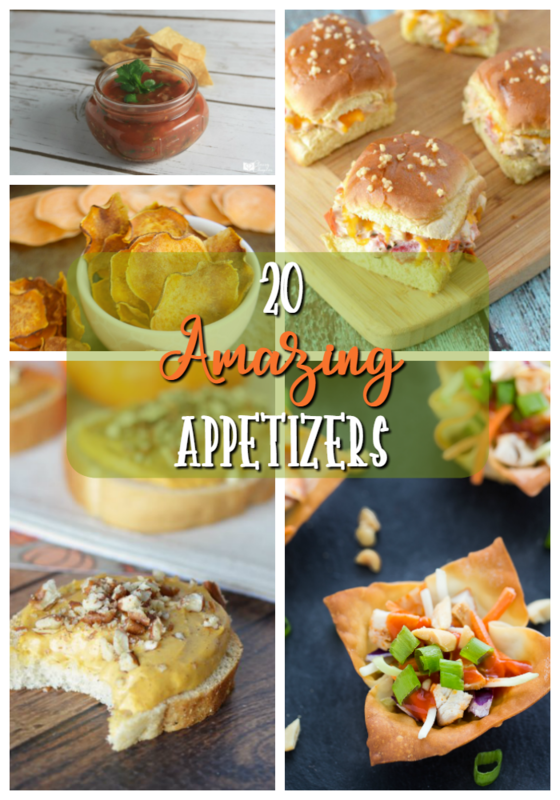 Appetizers can make great After School Snacks – especially if they’re in the individual sized ones. Potato skins – Is it after school time? Or a football party? Either one! Tortilla roll ups – Make these in the morning or the night before and keep refrigerated. They’ll be perfect for after school. 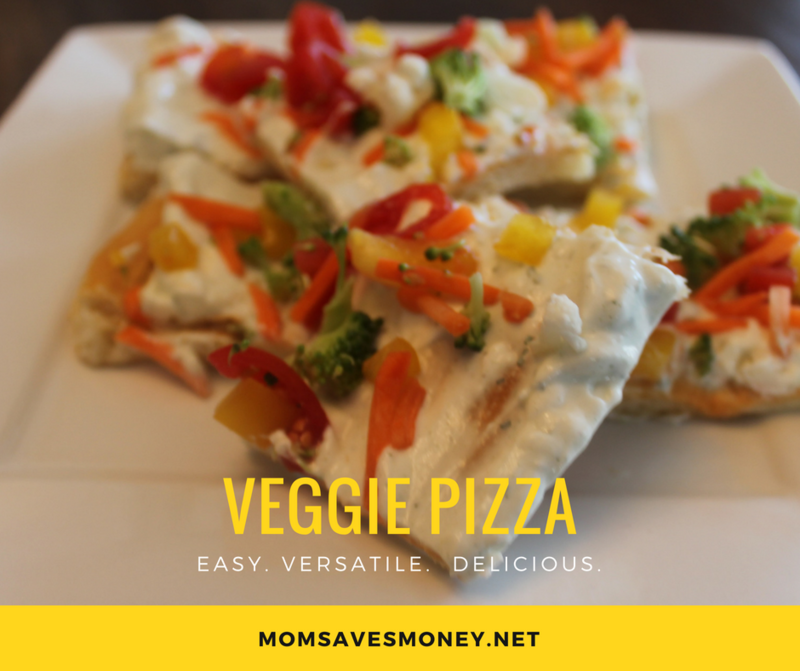 Veggie Pizza – Pizza!? After school?! You betcha! Pinwheels – Cheese and tortillas – most kids would love that! 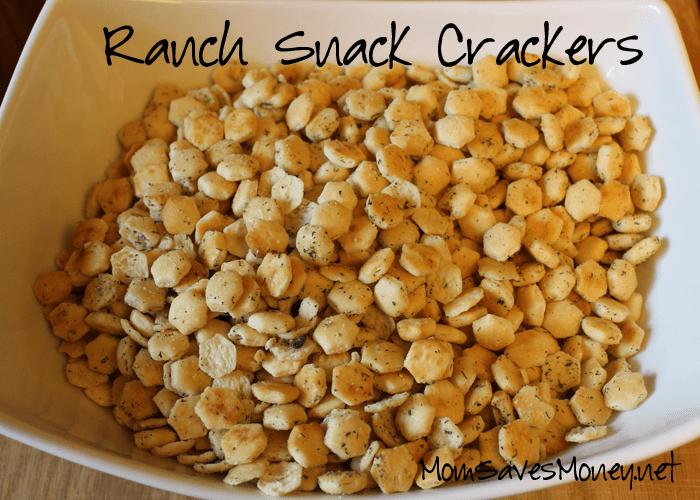 Ranch Snack Crackers – This is a favorite of mine around the holiday times, but I’d love it year round too. Baked Oatmeal Cups – Put in whatever toppings your family enjoys and everyone will be happy and fulfilled! Hard Boiled Eggs – No need to be too complicated! Make a batch and keep in the fridge for easy eating after school. Bagel bar – Set out bagels, english muffins or toast and some toppings such as peanut butter, almond butter, jelly, butter, honey, and cream cheese. French Toast Sticks – Your kids would definitely love these! Dipping them into syrup? Sold! Pancake Bites – Easily customizable. Blueberry. Peanut Butter. Chocolate chip. Bread – Homemade breads make for great snacks. Zucchini Bread. Banana Bread. Cinnamon Sugar Bread. Hobbits would certainly approve of “2nd Lunch”. While you probably want to keep the portions smaller so as to not “ruin their dinner”, it can be a good solution. Quesadillas – Just use tortillas and cheese and melt to yumminess! Easy Skillet Nachos – Kids love these – especially if you make them on a cookie sheet. Grilled Cheese – Again, keep it simple and just use bread and cheese. Nice little pick me up! Mini Pizzas – Make them on a bagel. Make them on a tortilla. Make them on English muffins. Make them on hamburger or hot dog buns. Everyone can have what they want and clean up is easy! Meat & Cheese Crescent Rolls – Lunch meat, cheese and crescent rolls baked to perfection. 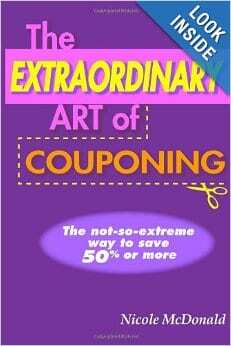 Try one of these to wow your kids! Chocolate Covered Banana Slices – 2 ingredients. Freezer-ready. Perfect mix of “fruity” and “chocolatey”! Popcorn – I pop a big batch of popcorn at least 2-3 times a week. We’ll eat it while watching a movie at night or while sitting at swim lessons. Chips & Dip – Try salsa, bean dip, cheese dip or guacamole. Cream Cheese Dip – Wonderful with apples and only has 3 ingredients! Raw veggies – A little prep goes a long way when it comes to serving vegetables. It takes a little time to prep them, but it pays big dividends! Frozen Fruit Cups – Healthy. Frozen. Fun. A great way to cool off in summer! Ice Cream Sandwiches – This is especially perfect as a snack if you use mini chocolate chip cookies. Creaminess – Chocolate chips. Ice Cream. Delicious! “Snowstorm” Desserts – Especially if you’re post-Easter or Halloween or any other candy holiday and have some candy bars lying around. Cookies – Kid-friendly ones like chocolate chip. Snickerdoodles. M&M. In my world, there is a place and time for grabbing a snack and going! Whether that’s going to piano lessons after school or a sporting event or needing to eat something on the bus ride home, pre-packaged snacks can come in handy. Annie’s Bunnies Crackers – I watch for a good coupon on these, but these are pretty universally liked by my boys. Goldfish Crackers – My boys would love these too — what kid doesn’t like Goldfish crackers? Smartfood Popcorn – This is another one of our favorites. They all prefer my homemade stovetop popcorn, but that isn’t always possible. Granola Bars – Again, we love Annie’s brand, but we also love Quaker!